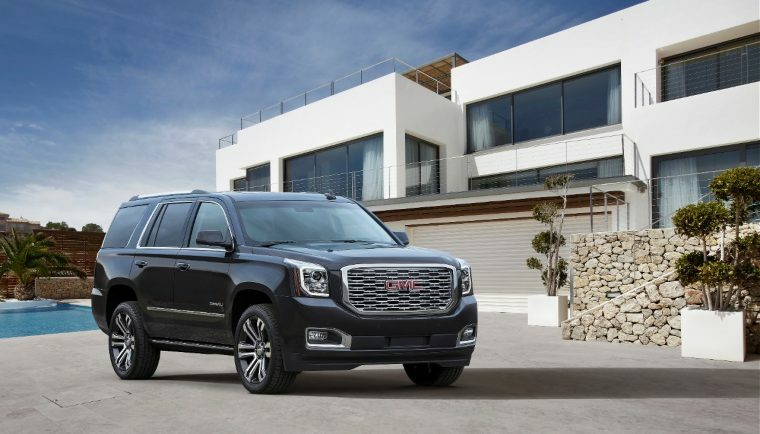 Today GMC announced upgrades that the brand is making to its 2018 Yukon Denali lineup, which goes on sale this fall, including styling and trim enhancements, as well as a new 10-speed automatic transmission. New design elements include a sculpted grille on the SUV’s front end and a Mastique Ash real wood trim for the interior. A new Hydra-Matic 10-speed transmission has been paired to the Yukon Denali’s 6.2-liter V8 engine, enhancing the smoothness, responsiveness, and quietness of the vehicle. In addition to serving the purpose of offering greater airflow to the radiator, the new multidimensional, sculpted Denali grille puts a new face on a flagship model. The Yukon Denali’s new 10-speed automatic transmission features a 7.39 overall gear ratio spread that is wider than the Yukon Denali’s previous eight-speed automatic, enabling a lower numerical top gear ratio and contributing to greater efficiency. More than half of all Yukons sold are Denalis. The Denali is offered in Yukon and Yukon XL models, with the XL featuring a 14-inch-longer wheelbase (20 inches longer overall), creating more third-row legroom and more than double the cargo room behind the third-row seat. The 2018 Yukon Denali will go on sale this fall.